91-year-old Mildred Riley. She retired from 40 years of nursing, and began a new career at 70 writing romance novels targeting black women. 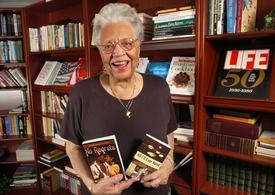 Now she’s 91, writes two books a year, and has the 15th one coming out right now. By comparison, 55 is just a puppy.